The Lower Shankill (Hopewell) estate has been re-imaged (again). 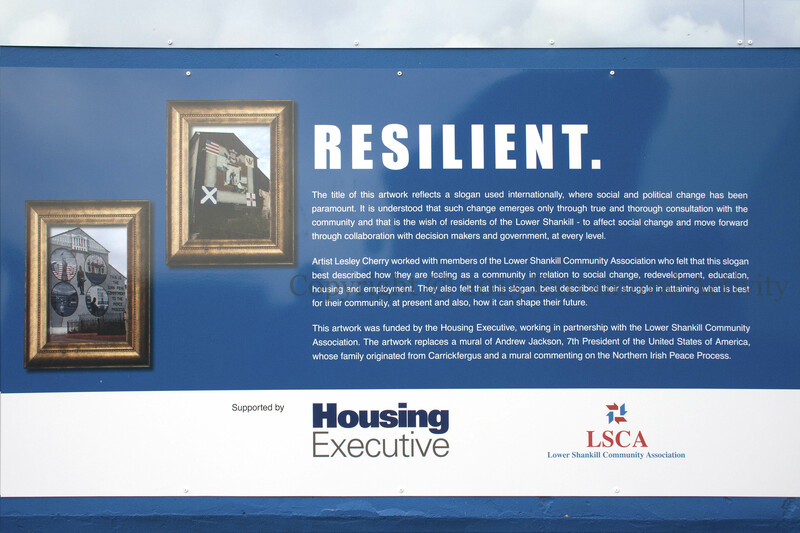 The history of re-imaging in the lower Shankill is told by the new piece at Boundary Way: the wall first sported a mural critiquing Sinn Féin’s role in the peace process (see this 2004 image) before being replaced around 2007 by a mural celebrating Andrew Jackson’s Ulster-Scots heritage (see M03819). 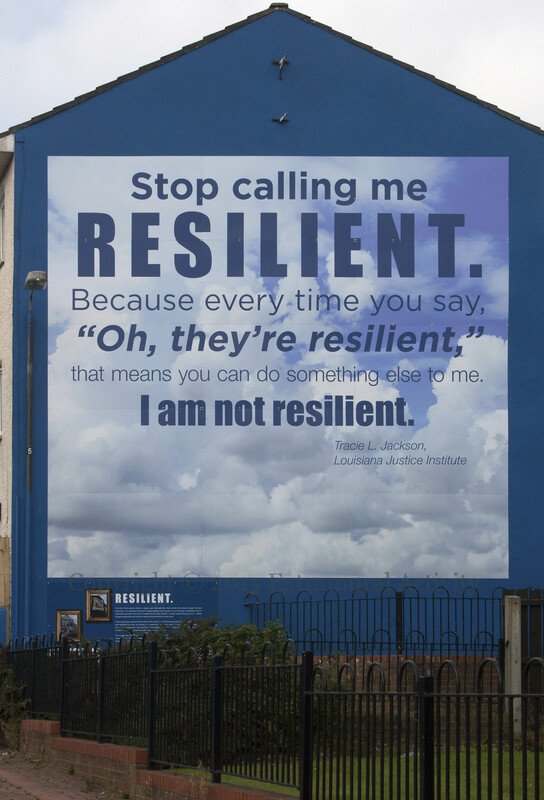 The new work sends a mixed message: the word “resilient” is in large letters and is the title of the piece, but the quote reads “Stop calling me “resilient”. Because every time you say “Oh, they’re resilient,” that means you can do something else to me. I am not resilient.” The quote would seem to be by Tracie Washington (not: Tracie Jackson) of the Louisiana Justice Institute. The left-hand side wall, which read “UDA Est. 1971” was painted over. For a description of the launch, see this Housing Executive report. Five printed pieces (four of them new this year) have replaced various murals in the area.